The primary role of a sales manager is to drive listings and sales every day, every week. 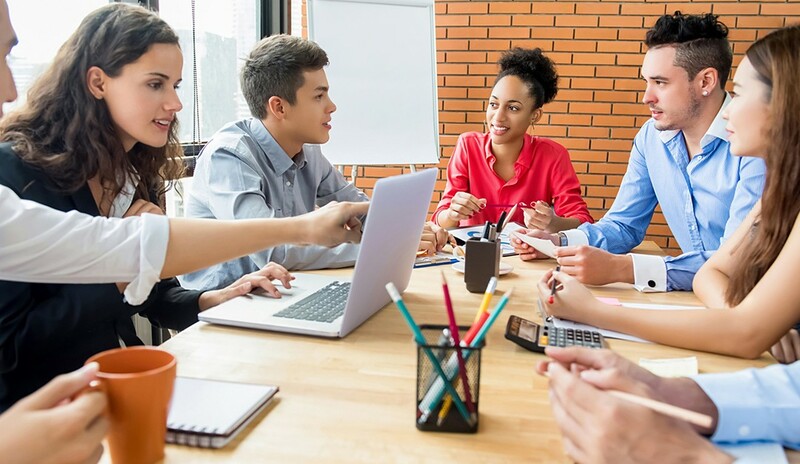 There are many ways to connect with your sales team; however, the most impactful method is to bring them together in an environment you create: your sales meetings. Sales meetings have so much influence, and provide you with a platform to re-recruit your agents by adding great value to them in a number of ways. Highly effective sales managers use this time to recognize, coach, inspire, challenge and build momentum. Being a leader and facilitating a meeting of your team requires you create a successful environment that is high-energy, fast-paced and informative. Here are some strategies you can incorporate to make your meetings impactful, educational, well-attended and so invaluable your agents will never miss a meeting. Have weekly meetings. There is no better way to create a cadence of success and accountability, as well as build momentum, than by having weekly sales meetings. Regardless of what you’ve “always done” or what your market is used to doing, top managers and successful sales teams meet weekly. It keeps the freight train moving at high speed and sets the tone for a high-energy, high-results environment. Let’s face it: Everyone wants to be with the winning, successful team. Never cancel a meeting. That’s right. Unless a holiday falls on your meeting day, never cancel a sales meeting. There are only so many selling days in the month that your agents are focused and engaged in the business. The sales meeting keeps agents focused on their business—what new listings or buyers they are working with. To cancel a meeting is anti-success; it means that your sales team will not meet again for two weeks, and that is too long of a time for them to not network together. Announce new listings and buyer needs. Provide the opportunity for your agents to share with the team their new listings, and announce them even before they go on the market to create urgency and excitement. Your agents will literally put deals together during your sales meetings. Create an environment so that everyone hears about the new listings first at the sales meeting, and your team will come ready to match their buyers to the new listings. This is a huge value proposition on a listing appointment—to tell a seller how you are going to market their home the first few days. Highlight successes from the week. Share success stories that agents have regarding negotiations, open house conversions, the success of a call event or how an agent implemented a broker marketing tool and won a listing from the competitor. All of these remind your team they are at the right office and brokerage. Hearing these success stories reinforces their decision that they have the advantage over anyone else in the market, and is a great retention tool. Promote your meeting. Send a pre-meeting teaser email about tomorrow’s awesome sales meeting, and remind your team that they will learn, share and won’t want to miss it, because they would miss a lot! Give them a teaser of the new marketing initiative or huge news that you have that will help increase their business and income. Coach and add value in return for their time. Agents will love learning a new skill that will help them compete out in the field at a higher level. Show them and teach them how to use a better strategy or script to convert a lead into a listing. Talk about lead generation methods to help increase their pipeline of leads. Help them use the tools your company provides. Don’t just tell them where to find the technology tools or marketing tools on your agent intranet site, but, rather, demonstrate how to use them to win more business. They will then go use the tools to create or close more listings and sales. Using these strategies will help make your sales meetings truly the best networking event of the week, with highly productive agents creating success week after week. Your listings and sales goals will be achieved and the synergy in your office will create an amazing culture of teamwork and success. For more tips and a FREE copy of my “How to Plan Effective and Impactful Sales Meetings Questionnaire,” email yourock@sherrijohnson.com.